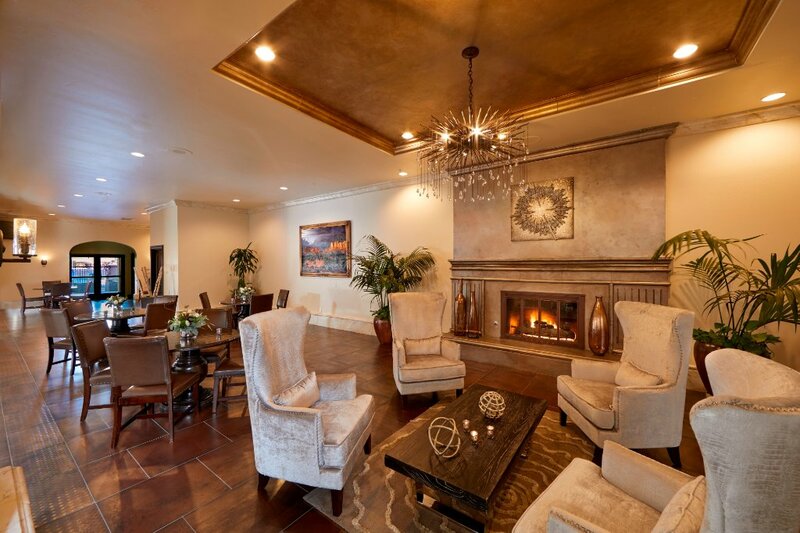 The Scottsdale Plaza Resort Make your day hotel stay enjoyable and comfortable by booking your day stay at The Scottsdale Plaza Resort. We are sorry but there are no available rooms for April 24, 2019. 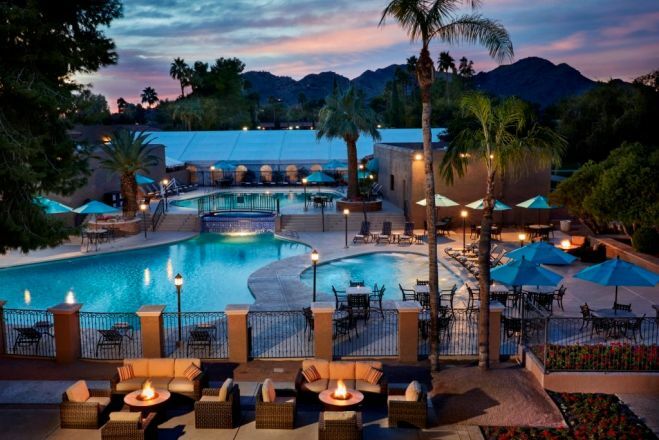 If relaxing daycation in the picturesque Arizonan desert sounds like an exciting idea, head over to the luxurious Scottsdale Plaza resort to make it possible. With wide range of guest rooms and suites set amidst lush trees and palm-lined views, the resort with day use option welcomes all its guest with a smile. Take advantage of flexibility by booking hotel room for a few hours and enjoy a rejuvenating day stay filled with amazing memories. When the resort showers provisions such as five heated swimming pools and a full service salon and day spa, there is nothing more to think about. Along with excellent modern amenities, the resort offers perks of central location. 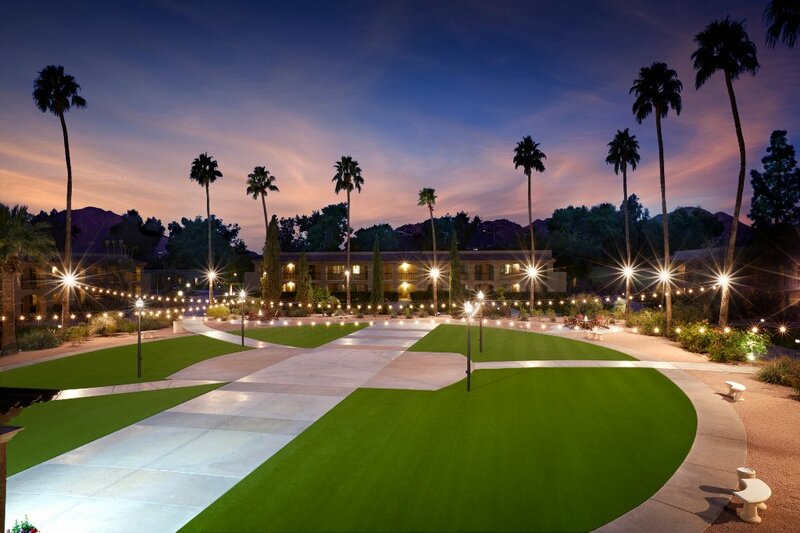 Located at a close distance from the Phoenix sky harbor International airport, it can save valuable commute time. Ideal for both leisure trips and work assignments in the area, rest assured of a comfortable accommodation partner. And after a relaxing stay in the resort, enjoy variety of attractive activities in the neighborhood. 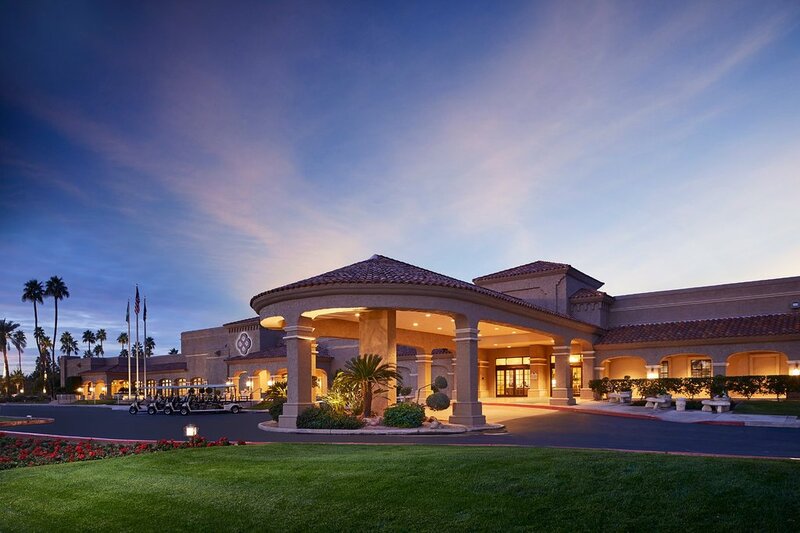 Explore numerous golf courses, visit the famous Phoenix zoo and Odysea aquarium, and enjoy proximity to nature at the Phoenix Mountains preserve and Echo Canyon recreation area, the options are simply unlimited. Offering 404 guest rooms, suites and executive lodges, the hourly hotel is loaded with all the necessary modern amenities. Each of the rooms offer Free Wi-Fi, flat screen TV, air-conditioner, coffee maker, iron and ironing board, hair dryer, spacious bathroom with toiletries and work desk with chair. 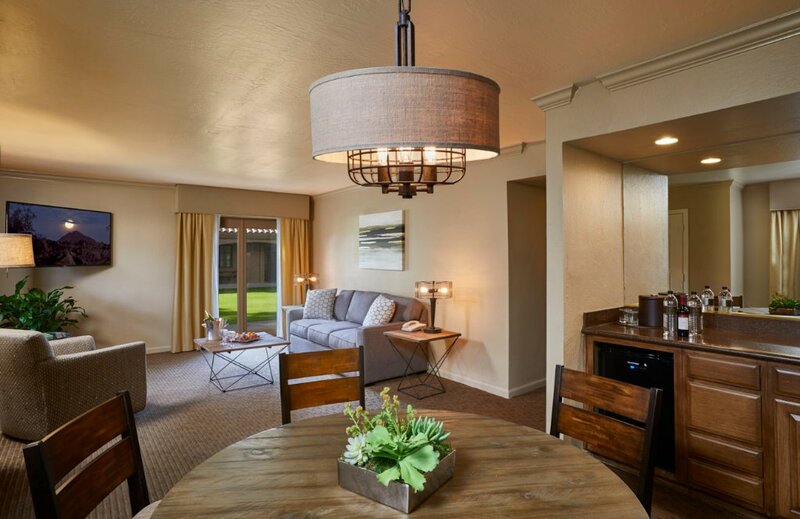 Suites offer separate living room and sleeping areas with microwave and refrigerator. 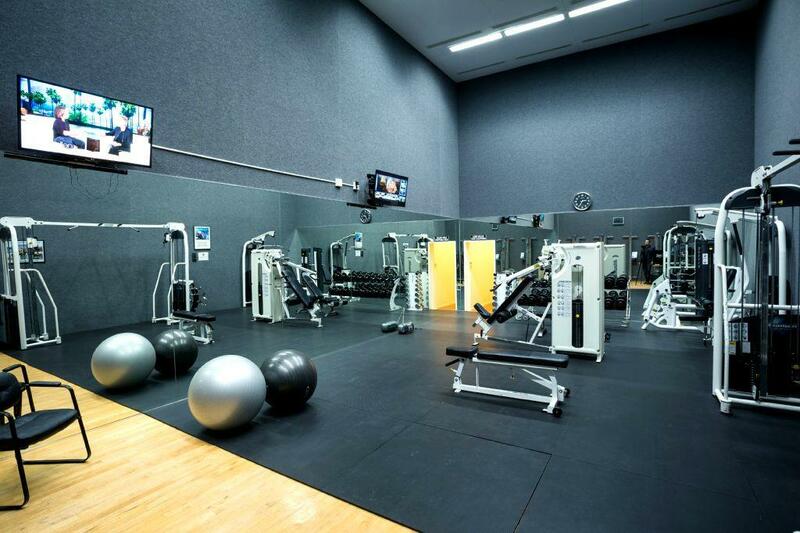 Besides the comfortable rooms, the resort offers 24-hour fitness and business center, walking trails, ATM, market and complimentary shuttle within a five mile radius. Odysea Aquarium – A fun-filled perfect spot for the entire family, the aquarium is less than four miles from the hotel. It features many marine animals, fishes, 3-D movie theatre and several interactive experiences that can engage members of all age-groups. Enjoy sharks, penguins, Deep Ocean, reef jewels and much more at the spacious aquarium in the desert. The Pavilions at Talking Stick Shopping Center – For all your shopping needs, head to this large mall in the vicinity. With rich collection of electronics, home goods, apparel and shoes, health and beauty, toys, sporting goods and many such varieties, there is something for everyone. After getting tired, enjoy gourmet cuisines at the food joints and finally catch a movie at the multiplex. Echo Canyon Recreation Area – Spend some relaxed time amidst nature and enjoy the sight of mighty Camelback Mountains. It offers three hiking trails, free parking and a large recreation area suitable for the entire family. Explore diverse desert plant species and cacti along the trails. Pet animals are allowed, additional charges apply. 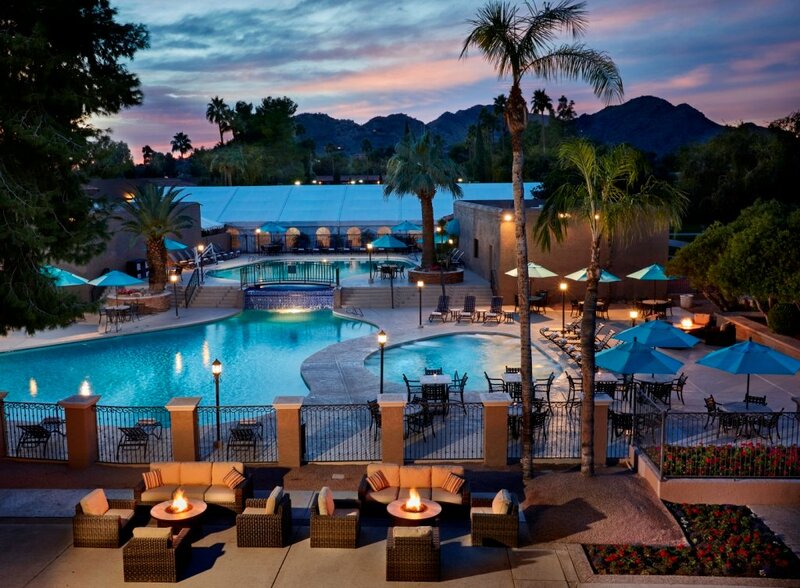 Self-parking and valet parking is available under daily resort fees. Smoking is prohibited in rooms and hotel premises except designated smoking areas.